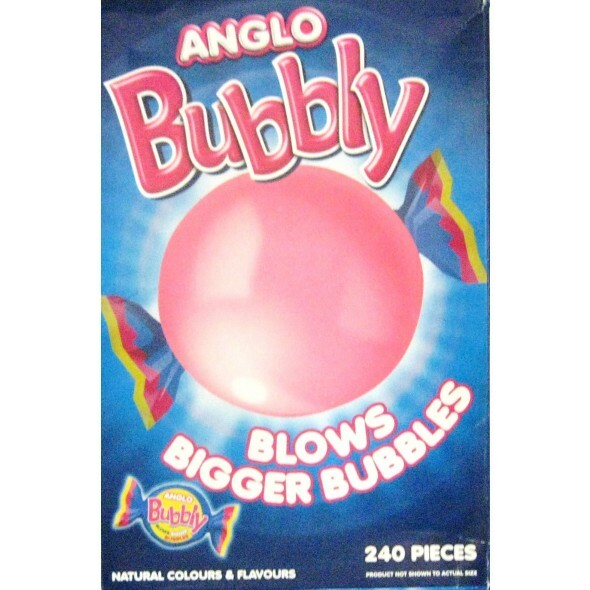 Anglo Bubbly: Pink Bubblegum just got bigger than you can remember. 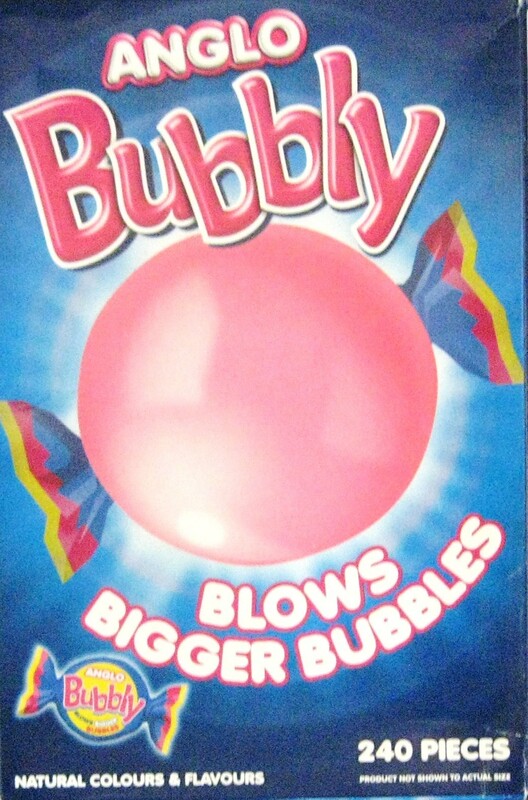 Now you can blow even bigger bubbles. INGREDIENTS: sugar, glucose syrup, gum base, invert sugar syrup, humectant: sorbitol syrup, flavouring, natural colour: beetroot red. May contain traces of soya. Made with only natural colours and flavours.